Directors: Steven Spielberg, Peter Falk, Richard Irving, Jack Smight, etc. America has produced a great number of crime series over the decades but Columbo must rank as one of the best examples of the mystery-drama. The idea of showing us a murder in the first five minutes, and then spending the remaining seventy minutes giving us the chance to watch a bungling, trench-coat wearing, cigar-chomping police detective tracking down the killer was a stroke of genius! Now, on paper, this format may have sounded very limiting. How many times would an audience want to watch someone get bumped off and then sit glued to their TV screens waiting for a policeman to figure it out? The answer to this baffling question was many, many times. Indeed, Columbo was so popular, it continued in production (on and off) until 2003 when Peter Falk finally decided to call it a day. 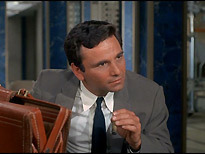 It’s down to Peter Falk that the series was received by the public with great fondness. 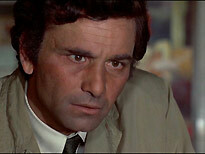 His portrayal of Lieutenant Columbo was always understated but at the same time mesmerising. His sideways glances, knowing looks and casual afterthoughts were always calculated to put his adversary off guard, which eventually led to their downfall. 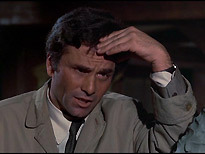 A testament to the quality of a series can usually be measured by the calibre of the guest stars it attracts – and Columbo attracted the very best - time after time. In this first season alone we are treated to such names as Don Ameche, Leslie Nielsen, Roddy McDowall, Robert Culp and Ray Milland. Later seasons would draw in the likes of Patrick McGoohan, Martin Landau, Vincent Price, Martin Sheen, Honor Blackman and even a youthful Kim Catrall. While the onscreen talent is there for all to see, the production talent is also second to none. 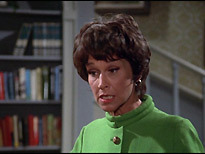 The series was created in 1961 by Richard Levinson and William Link, originally for the NBC Mystery Theatre series (which, incidentally, also gave birth to McMillan and Wife and McCloud). 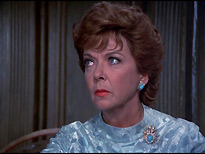 Bert Freed played Columbo in that first play, Enough Rope, and was succeeded by another actor, Thomas Mitchell in the 1962 play, Prescription Murder. Two further TV movies followed, in 1968 and 1971, both starring Peter Falk, before the series began on a regular schedule, in September 1971. 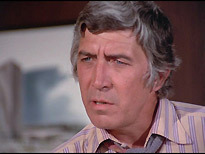 The series’ first script editor, and writer of the first regular episode was Steven Bochco, who would go on to create such classics as Hill Street Blues, LA Law and Murder One. 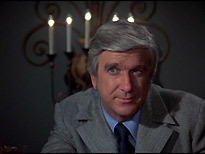 His flair for the dramatic situation and crime solving is evident in all three of the episodes he wrote for this first season. Behind the camera on the first episode was another Steven, this time in the director’s chair: Steven Spielberg. Yes, he of Jaws, Raiders of the Lost Ark, E.T. and, more recently, The Terminal fame. While his directing does not display the visual flare for which he would later become known, he does manage to bring out dramatic and convincing performances from all the players. This box set of six discs from Universal brings us the complete first season of seven episodes (each about seventy-two minutes long), along with both of the Peter Falk pilot movies (about ninety-two minutes each). The first three discs are all dual-layer discs with two episodes on each disc. The final three discs are all single-layer with only one episode per disc. Strangely, the two pilot episodes are on the last two discs of the set. I would have thought having them first would have made more sense but Universal has decided to classify them as bonus episodes, so relegated them down the order somewhat. Why Universal didn’t put them both on a dual-layer disc is another mystery. 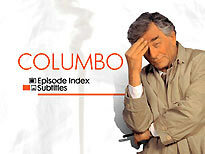 Columbo is presented in its original 4:3 TV aspect ratio. The image is generally very good but does show its age. Colours are quite vibrant and typical for American TV of this era. At times there is a fair amount of dirt and sparkle evident, but never enough to distract your attention. Grain is also visible in places, usually in the darker areas of the image. Definition is very good indeed. The overall depth and clarity is better that I have witnessed on any TV broadcast of the show. 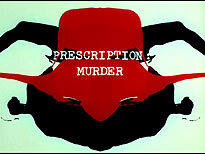 On some episodes, (particularly the first one, Murder By The Book), there is a slight flicker noticeable. I suspect this is embedded in the original source material, so there probably very little Universal could have done about it. The MPEG-2 encoding seems to be very good (6.88 Mb/sec), with no traces of artifacting in view. Overall, this is the best the series has looked. Any fan of the series should be content, considering the material is over 30 years old. The episodes are presented with a Dolby Digital 2.0 track (dual mono) at a bitrate of 192Kbps. Dialogue is faithfully reproduced, and there is very little hiss or background noise. At no point was I struggling to hear what was being said. I am grateful that Universal has not messed around with the original sound – who needs a 5.1 mix or even a stereo mix of something which is mainly dialogue? English subtitles are available for all episodes. Universal have let us down on special features. There is absolutely nothing, unless you count the two pilot episodes, as extras like Universal obviously do! Menus are static and simple but easy to navigate. As a huge admirer of US crime-drama series, I am pleased with this offering from Universal. They have taken a great series and given us a basic but entertaining box set. Maybe in future sets we could have a documentary and a few commentaries from Peter Falk or key members of the production team. While the drama is not up to the high-octane height’s of CSI:Crime Scene Investigation or Cold Case, in it’s own quaint way it is still riveting and well-made TV. Even through you know whodunnit, the exceptional performances of the cast, especially Peter Falk, make this set a worthy addition to anyone’s collection.